Lapis Lazuli Earrings. Gold Filled Ear Wires. Gold Framed Stones. September Birthstone. Genuine Gemstone. 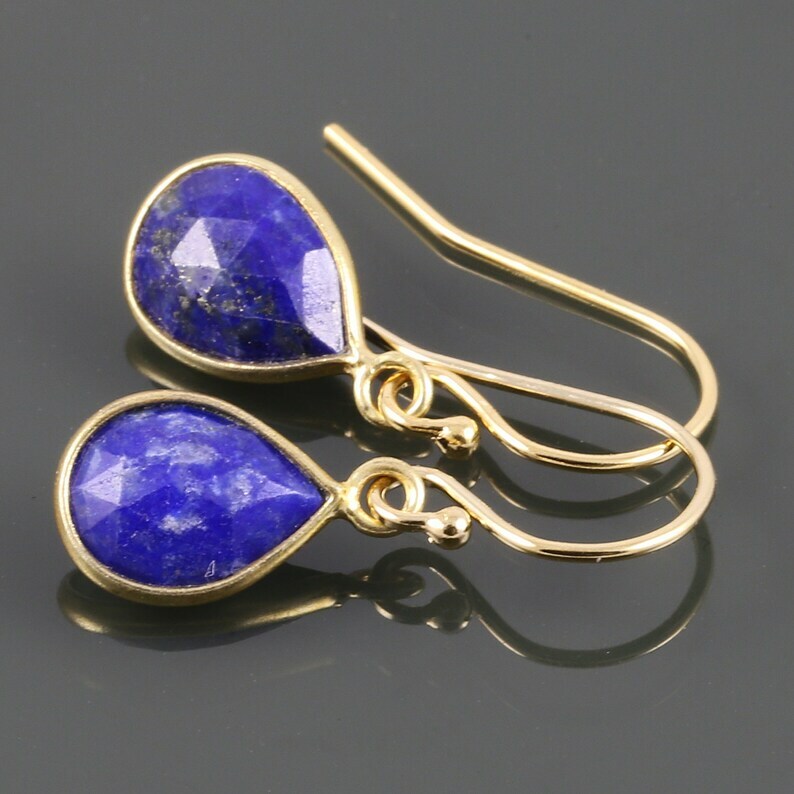 These earrings each have a single genuine lapis lazuli gemstone, framed in gold-plated metal. The lapis lazuli is a bright cobalt blue color in a faceted teardrop shape. The stones measure about 6x8mm. These earrings have 14/20 gold-filled ear wires, and they measure about 7/8 inch (2.2cm) in length from the tops of the ear wires. Please note that these are very small earrings. I have photographed them close up so you can see them in detail, but please be sure to check the measurements and the photo of the earrings on a mannequin for scale. Lapis lazuli is one of September's birthstones, making these earrings a lovely September birthday gift. Lapis Lazuli Earrings. Rose Gold Filled Ear Wires. Unique Triangle Shape. September Birthstone. Genuine Gemstone. Lapis Lazuli Earrings. Titanium Ear Wires. Unique Triangle Shape. September Birthstone. Genuine Gemstone. Lapis Lazuli Earrings. Titanium Ear Wires. Genuine Gemstone. September Birthstone. Denim Lapis. Oval Stones.